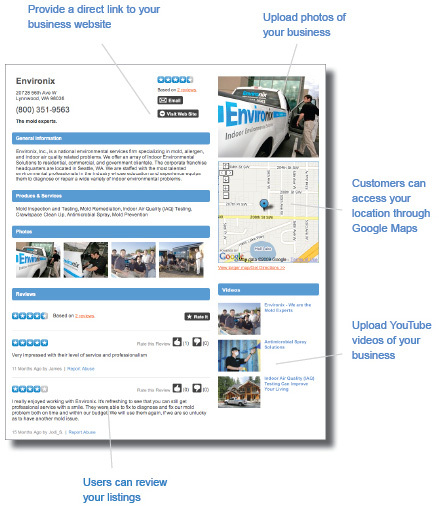 Did you find our website in the organic search results of Google, Yahoo, or Bing? Thousands of customers find myhuckleberry.com in the exact same way on a daily basis. Wouldn’t you like those people to see a listing for your business? Take a moment and add your information to our directory. You can add general details like your address and phone number, build link popularity for your website, and upload photos and videos, too! Best of all, a basic myhuckleberry.com business listing is 100 percent FREE. We want to help you make a connection with the right people in your city. With a myhuckleberry.com business listing, you will make yourself instantly visible to thousands of potential customers. Need more reasons to join myhuckleberry.com?